It’s taken a few days for all of us in the boxing landscape to comprehend the news, as the sport’s biggest star, Saul Alvarez, also the holder of the WBA and WBC middleweight titles, recently signed a historic five-year, 11-fight deal with an estimated $365 million so that his fights will be exclusively televised on the DAZN streaming service. It’s a huge move for Alvarez, as well as his promoter Golden Boy Promotions. But what about the man Alvarez narrowly defeated, Gennady Golovkin, this past September 15 in Las Vegas? 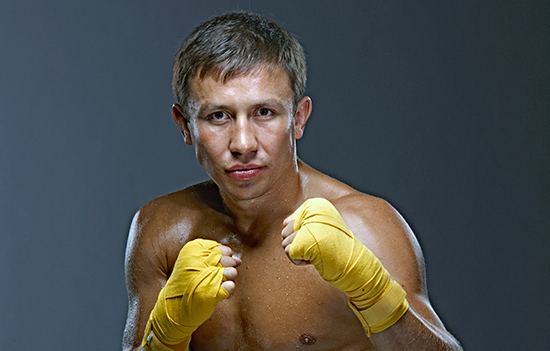 Golovkin too has gotten interest from several platforms who would love to feature him. Let’s take a closer look at who is in the running to sign “GGG”. The first thing that comes to mind when you think of ESPN, is the fact that Bob Arum took his stable of Top Rank fighters exclusively over to their platform, both of regular ESPN and their ESPN + streaming app. Two names who stand out instantly who are connected to Top Rank are WBA middleweight champion Ryota Murata, who fights this weekend vs. Rob Brant in Las Vegas, as well as WBO super middleweight champion Gilbert Ramirez. Ramirez is set up with a dangerous rematch with Philadelphia’s Jessie Hart in December, and him and Golovkin would make for a fantastic fight on Cinco De Mayo or Mexican Independence Day of next year. Also, since Frank Warren has linked his stable with ESPN, there could be a possibility of Golovkin facing off with former champion Billy Joe Saunders on the network, although Saunders has been going through some tough career patches as of late. Given their recent deal with adviser Al Haymon and his stable of fighters at Premier Boxing Champions, Showtime will surely be keeping a busy schedule over the next few years. But what would Golovkin’s interest be in signing with Showtime? Well, there are definitely some talented name that Haymon promotes, and the first obvious possible opponent would be interim WBC middleweight champion Jermall Charlo, who has been on a hot streak in the ring, despite not fighting as much these days. Aside from that, Showtime featured regularly some top-level fighters who very well could be moving up in weight in the near future, including guys like Erislandy Lara, Jarrett Hurd, Jermell Charlo, and Julian Williams. Any of those guys would make for a fun fight with Golovkin. Let’s not rule out the possibility of IBF welterweight champion Errol Spence rising two weight classes to possibly meet Golovkin. Don’t forget that Spence and his trainer Derrick James have already expressed interest in a Golovkin fight. There are definitely some big names who are linked with DAZN. If Golovkin were to sign with the streaming service he would certainly have several options. The first that stands out of course is a third fight with Alvarez. But you also have Demetrius Andrade, who fights for the WBO middleweight title this weekend, as well as former WBA champion Daniel Jacobs, who fights for the IBF title next weekend. Those three names alone makes Golovkin’s options seem interesting enough to at least entertain a move to DAZN.